Prins Thomas 5 is an unusual, mid-tempo collection that places less emphasis on atmosphere while focusing on the groove. Prins Thomas is living his best life, fully content with the knowledge that, well, he can do anything. Although the Norwegian-born Thomas first showed up on most people's radars with his collaborations with Lindstrøm, his work as a remixer and producer soon lead the groove-loving dance producer Thomas to start putting out more and more original material, most of it on his label Full Pupp. Although he stylized his sound as "cosmic disco", his understanding of multiple genres of music and how they work in concert with each other truly made him stand out amongst his indie-dance peers. In fact, his daring revisionism of psych-rock band Dungen's last album even managed to sneak its way onto PopMatters' list of the Best Ambient/Instrumental Albums of 2017. So after numerous label comps, remixes, tape loops, and more, what's a Prins Thomas to do with a new album? If you answered "knock off early Aphex Twin in the most loving way possible", then you're weirdly correct. 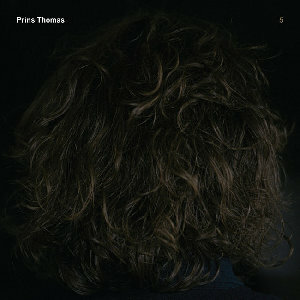 Prins Thomas 5 is an unusual, mid-tempo collection that places less emphasis on atmosphere while focusing on the groove. So it's no surprise that the opening triptych of songs uses simple, repeating synth patterns to paint soundscapes that wouldn't sound too far out of place on Aphex Twin's Selected Ambient Works 85-92. There's the beat used as constant, great use of empty space that's filled by carefully-selected synth lines and percolating digital gurgles, and none of it overwhelms -- it just puts you in a blissed-out state, just as Thomas wants it. Yet mere imitation would be below Thomas' stature, and it's clear that even with Aphex Twin as a prime inspiration for the album's opening suite, his own pieces are looser, longer, and breathe in a natural rhythm. Songs like "Å", meanwhile, mine tropes straight out of a John Carpenter soundtrack, layering the same synth pads over each other until they create a climaxing, cinematic crescendo that only crashes down again. Plastic guitar lines fall in and out of echo chambers as he uses his "verses" to really stretch out the elasticity of a groove to its logical conclusion. While most of the tracks on 5 tend to be longer than five minutes, never once does it feel like any particular song has outstayed its welcome. And, more to the point, Thomas is not an ambient artist or a hard techno stalwart. Although he has a deep heart in prog and psych, 5 is not without its moments of levity and color. "Lunga Strada" is a stellar, fascinating little pop detour that sounds like the instrumental backing for an extended Cyndi Lauper mix (albeit in notably contemporary turns). 5's strongest moments stem from the listener not knowing what detour Thomas will guide us through next, which is why he flirts with so many different effects and moods, ranging from slightly funky ("Venter på Torske") to the sweetly downtrodden ("London Til Lisboa"). Mind you, everything adheres to a fairly constant beat, but his love of ambient and Italio-disco ensures that the momentum never slows nor does it blur together into musical monotony. It's a tricky balancing act to pull off, but Thomas swings it with ease. No one is going to be calling Prins Thomas 5 a genre-defining moment by any means, but for its simple aims, it remains a groovy, fascinating little affair that shows how one of the truly innovative voices in electronic music can make a pared-down, fun little groove album without any sort of burdening expectations being foisted upon it. 5's pleasures may be simple, but that doesn't one diminish from how striking and memorable the experience as a whole is.